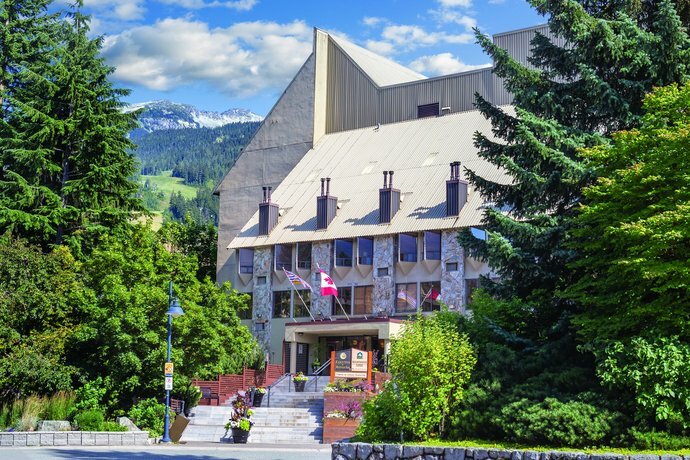 This property is located within Whistler Village and is less than a 1-minute walk from the Whistler/Blackcomb lift ticket kiosk and gondolas. Many restaurants and shops can be accessed within a 2-minute walk of this hotel. 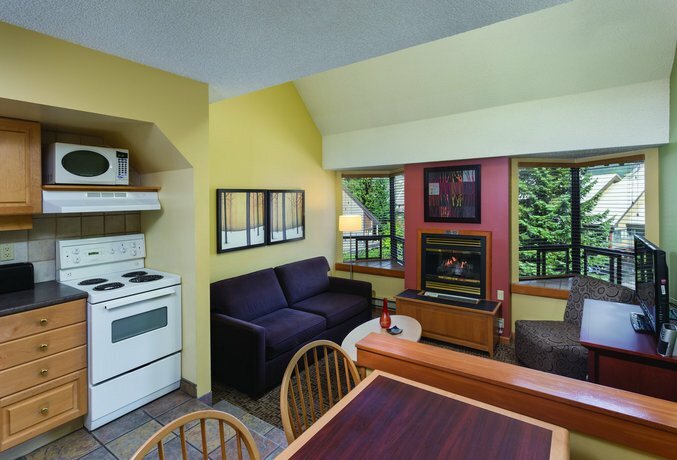 This property is an all-suite hotel and is ideal for guests looking to explore Whistler Village while staying a short walk from the lifts. 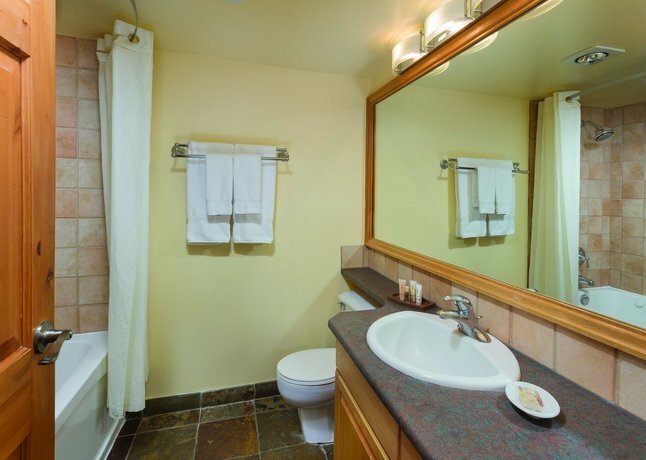 This hotel is 100% smoke free and pet free and all rooms, studios and lofted suites include free Wi-Fi, individual climate control, a flat screen TV, a DVD player, a gas fireplace, a jetted tub, bathrobes, wooden blinds, a fully-equipped kitchen (dishwasher, stove with oven, fridge, and microwave) and an iron and ironing board. 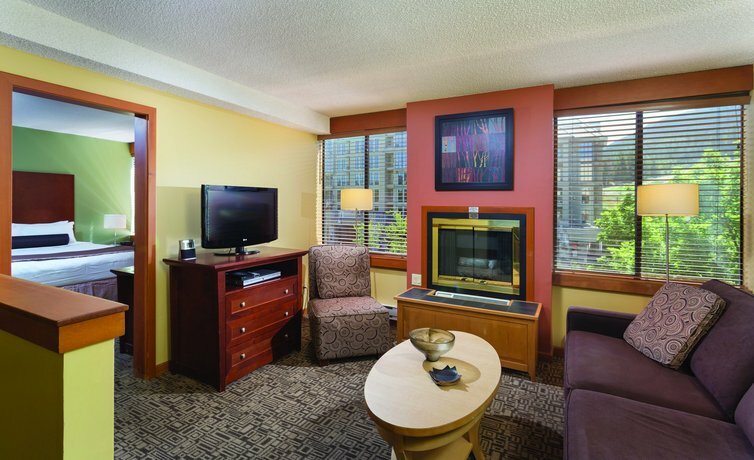 Studio suites sleep 2 adults and 2 small children or 2-3 adults and are furnished with 1 queen Murphy bed and 1 twin trundle/day bed. Loft suites at this property also include a separate bedroom with an en-suite bathroom, a dry sauna, and a second full bathroom. 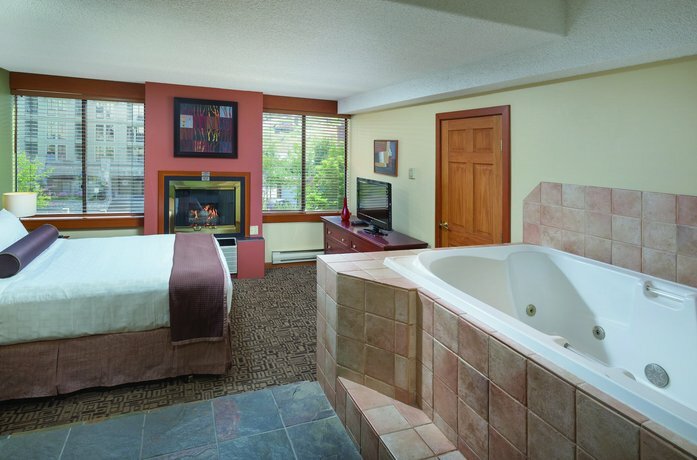 Loft suites are furnished with 1 queen bed, a queen-sized sofabed, and a trundle/day bed sleeping 2-4 guests. 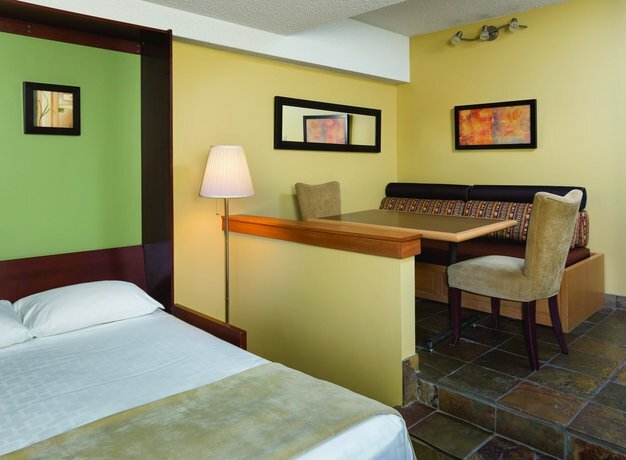 The hotel also offers 1- and 2-bedroom suites that sleep from 4-6 guests. 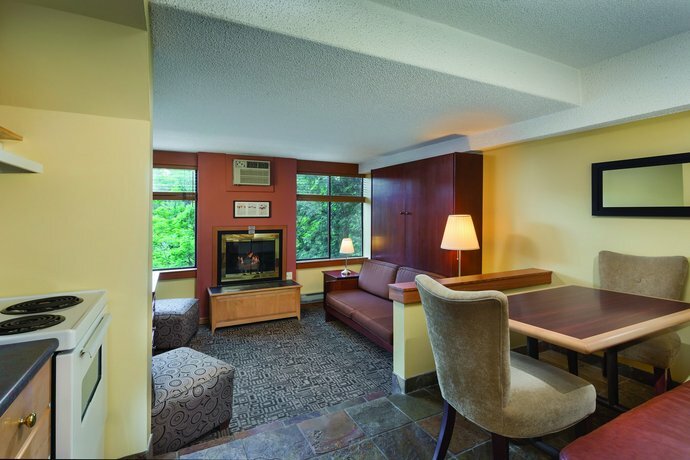 Underground parking is available on site for $20 per night. Daily housekeeping is available for an extra fee. Shuttle transportation from Vancouver airport is also available for a fee. 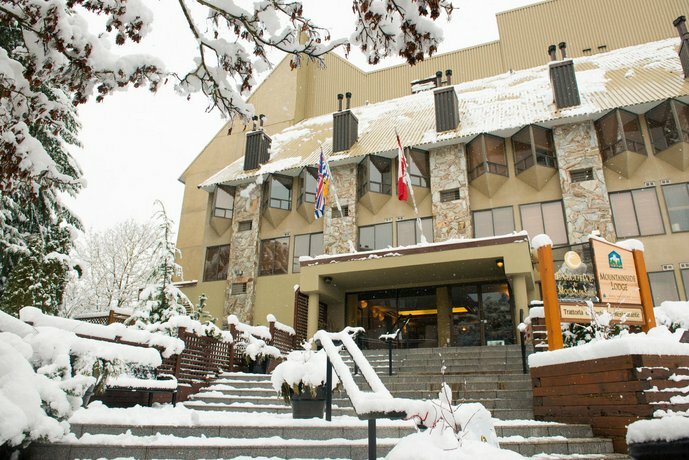 Whistler Village is home to several restaurants all within walking distance from this hotel. 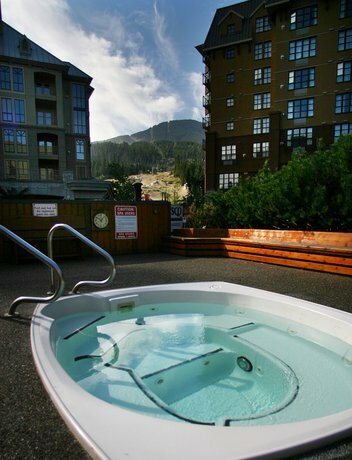 On-site amenities include an outdoor year-round heated pool and a hot tub with views of the Whistler slopes, ski, board and bicycle storage, sports equipment repair and tuning, free newspapers, coin laundry machines, babysitting services (extra fees apply), in-room spa services (extra fees apply), a 24-hour business centre, an ATM, safe deposit boxes, and concierge services. This hotel has an elevator. 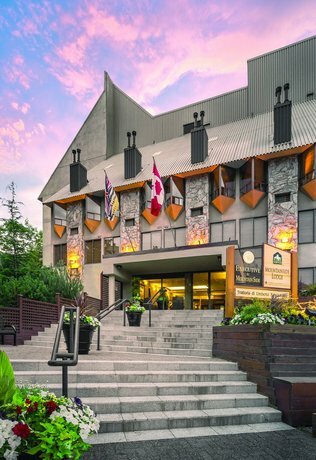 The Whistler Village Art Gallery is a 1-minute walk from this hotel, while the Whistler Museum is 6 minutes away on foot. 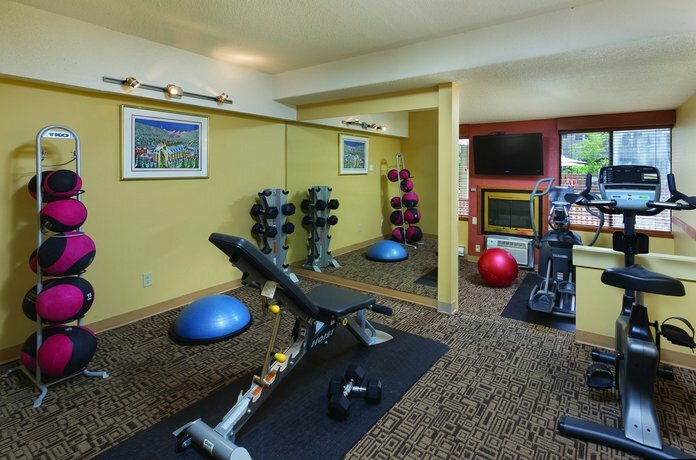 The Whistler Golf Course and Driving Range is a 6-minute walk away. 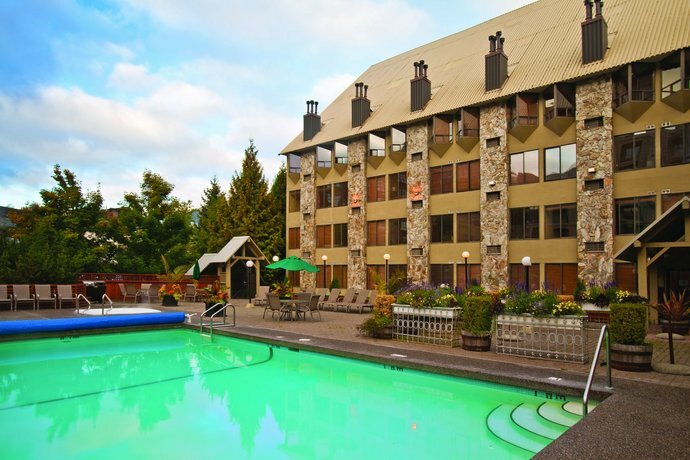 This hotel is about a 2-minute drive from the Sea-to-Sky Highway (Hwy 99). (All walking and driving time estimates: Google Maps). 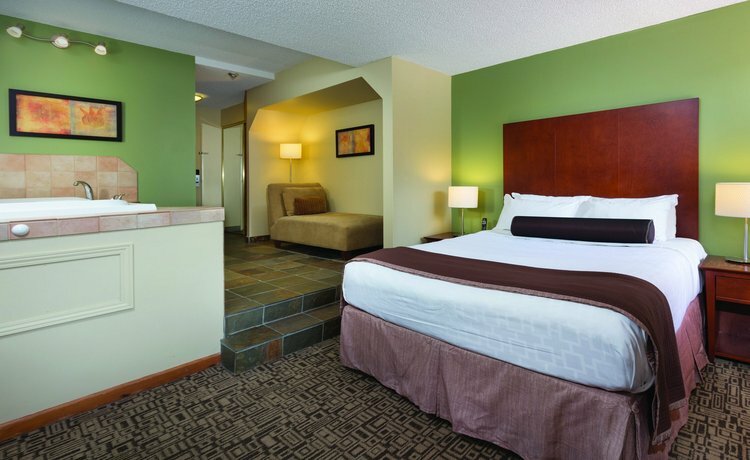 Many guests described their rooms as clean, and several reviewers thought that their beds were comfortable. A couple of guests thought that their rooms were spacious. Many reviewers thought that the room rates were reasonable and that the hotel offered good value for the money they spent. 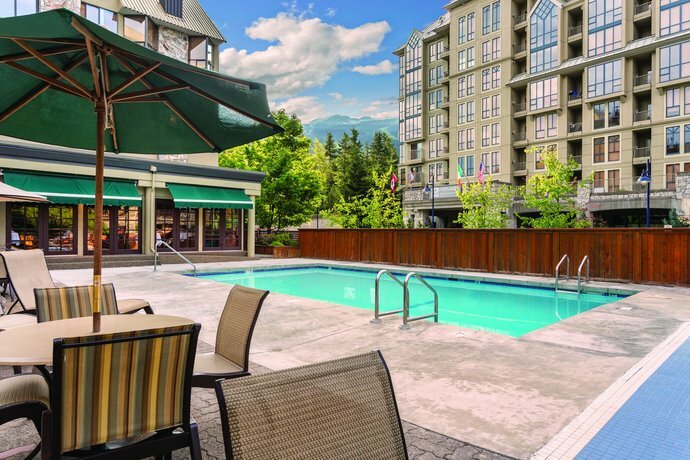 One guest said that this hotel was "among the most affordable hotels in Whistler Village". 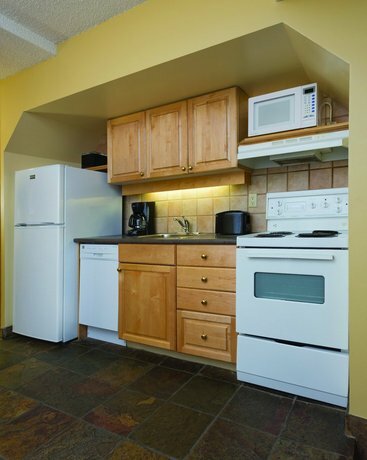 The in-room kitchenettes were described as well equipped and as a nice value-added feature. 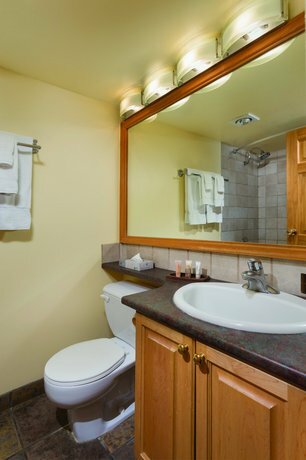 Other value-added features mentioned included: the in-room jetted tubs, in-suite saunas, the in-room fireplace, reliable and free Wi-Fi, and the on-site ATM. Many reviewers found the location ideal for exploring the village on foot. 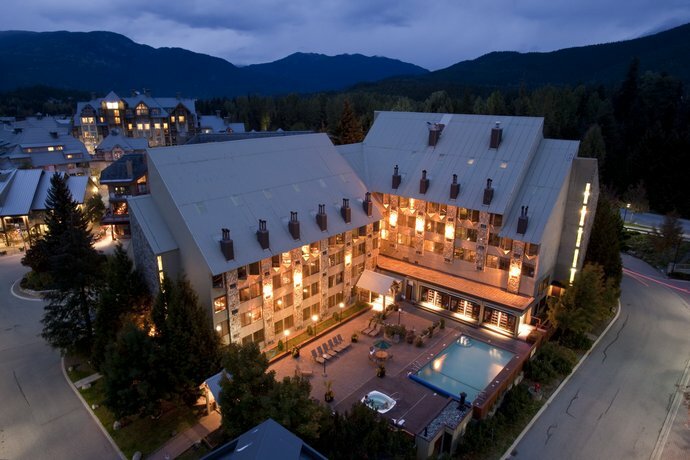 Guests described walking to the Whistler Gondola, restaurants, shops, and grocery stores. 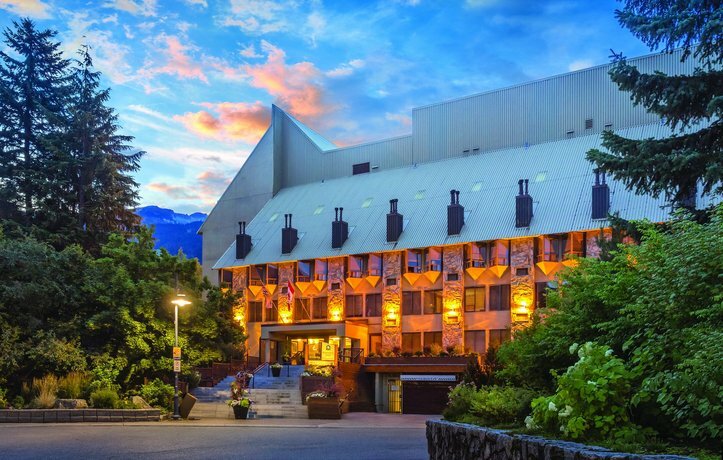 A few guests found the Sea-to-Sky Highway easy to access from this hotel. Several guests found the heated outdoor pool to be clean and well maintained. 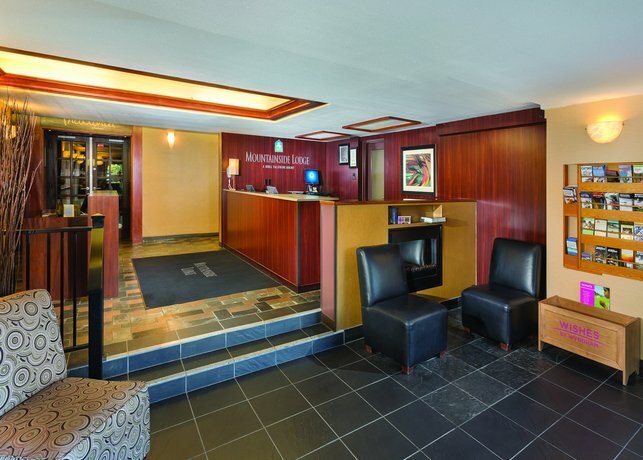 Several reviewers described the front desk agents as friendly, helpful, professional, and quick to provide restaurant recommendations. 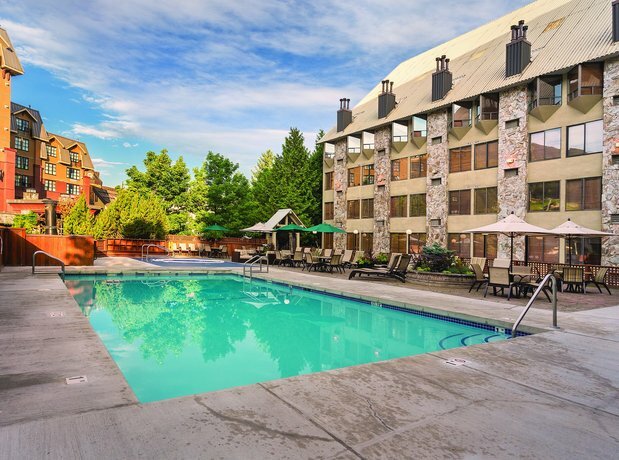 As mentioned above, positive reviews greatly outnumbered negative reviews for this hotel, among the reviews read for this report but there were a few common concerns mentioned by guests. 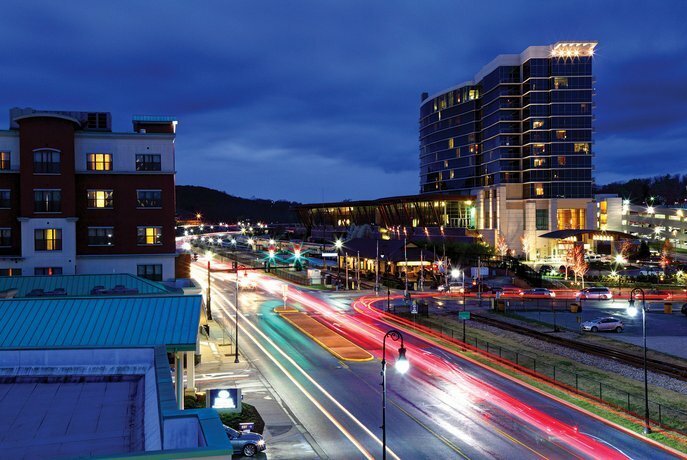 A few guests complained about the additional fees for parking ($20 per night). A few reviewers were disturbed in their rooms by sunlight in the morning. A couple of guests said that the wooden blinds did not adequately block sunlight and a couple of reviewers complained that there was no way to block light from the in-room skylights. A couple of guests described the sofa beds as uncomfortable. A couple of reviewers found the elevators slow and small. Some found the hotel somewhat dated and missed having daily maid service included in the room price. A couple of guests felt the hotel was not child proof with sharp edges to stone/tiled stairs and windows that opened too easily where a child could open and fall through. 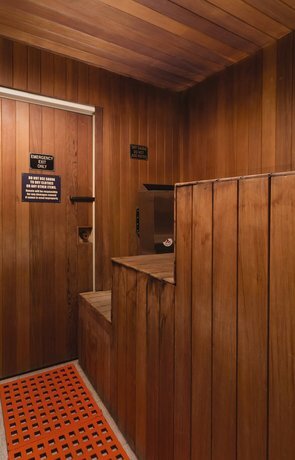 A few reviewers were disturbed in their rooms by noise and guests described disturbances from outside the hotel such as partiers returning from the pubs and a garbage truck, the on-site elevators and ice machines, and from the in-room mini-fridges. 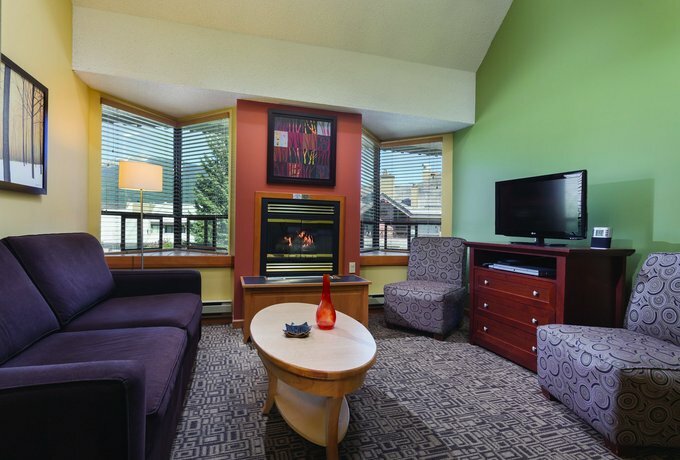 Expedia.ca gave this hotel an average score of 4.2 out of 5.0, with 92% of 153 guests recommending the property. 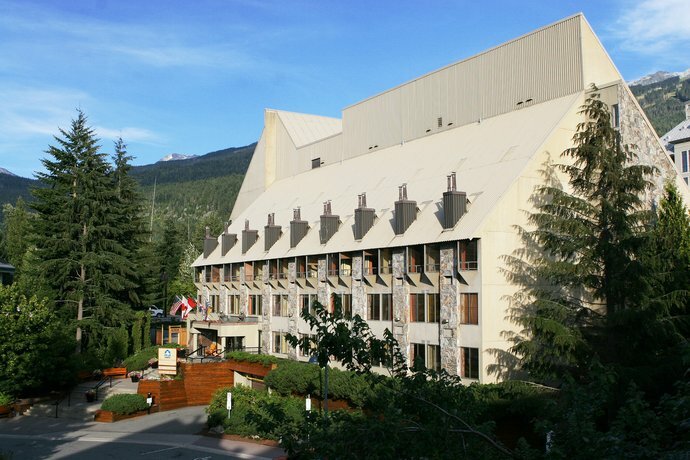 TripAdvisor.ca ranked this hotel #20 out of 57 properties in Whistler, from 180 guest reviews. 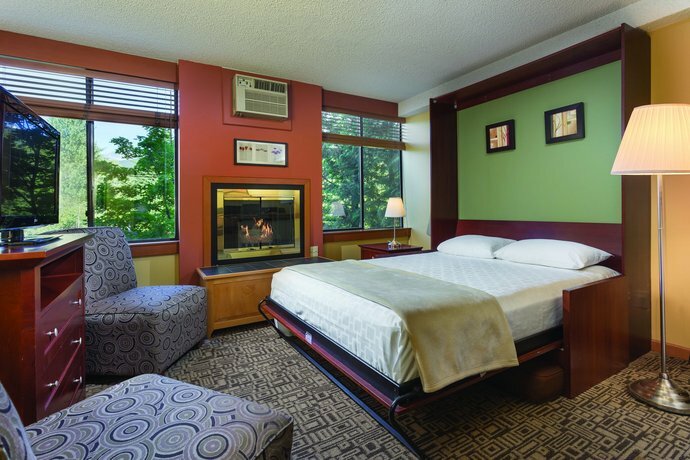 Hotels.com gave this property an average score of 4.2 out of 5.0, based on 92 guest reviews. The average guest rating for Mountainside Lodge - A Shell Vacations Resort is 8.5 out of 10 based on 820 reviews from past guests. 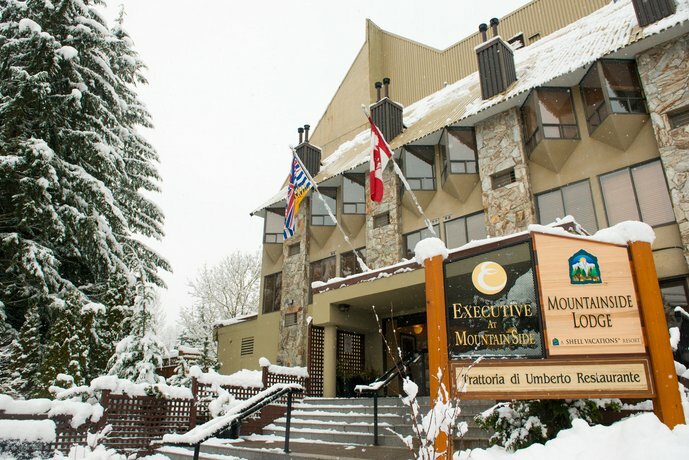 This average guest rating ranks Mountainside Lodge - A Shell Vacations Resort at #23 out of 70 hotels in Whistler.